January has arrived heralding the start of a new Somerset Year. Christmas and New Year celebrations despite their recentness are now rapidly receding into the depths of memory for the next 11 months before the whole festive process like the fabled self-resurrecting Roc, once again arise anew from the ashes. 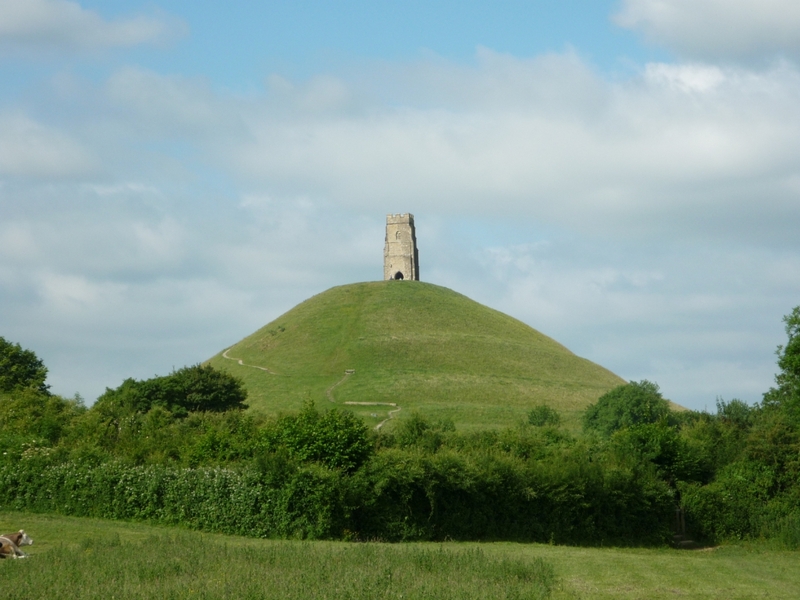 Many holiday visitors to Somerset or anywhere in the West Country have lingering thoughts of warm halcyon days spent on beaches, walking the lush fields or visiting seemingly exotic places of interest. It’s strange how the further away a location is from where we live, the more exotic places appear to become. The New Year has become something of a tradition when people start to think about their next Summer vacation made even more endearing by the bleakness of winter. At the moment, although temperatures are nowhere near freezing, outside is grey, damp and windy making thoughts of the next holiday even more desirable. While many people have travelled abroad for holidays, with current economic uncertainties both at home and abroad it is likely that many more people will this year seek what has become known as a Staycation where people stay at home and take short breaks away. It is likely the forthcoming Olympics will also have a major impact on summer holiday plans. I have many friends who live in Newham, the London borough that is hosting the bulk of the Olympics. Many are tired of the on-going upheaval caused by preparations for the Olympics and who want to get away from the area for the duration of the games. None of my Newham friends has tickets for any Olympic event or are aware of other locals who have any, either through self-choice or the inability to obtain any. Weymouth is another location much closer to home that will be hosting the sailing arm of the Olympics. Weymouth has always been a popular seaside town based on the Jurassic coast that survived the decline many similar seaside towns suffered. There is a possibility the Olympics may discourage more regular holiday makers from staying there this year. The concern of possible increased hotel and parking charges plus additional traffic and any other temporary restrictions that may be imposed, especially at a time of severe financial restraint, can be strong deterrents to the average holiday maker whether they actually materialise or not. Outside these potential problems, the magnetic allure of the West Country is still strong for people wanting to get away from it all, even if for just a short break. The population of Somerset for instance is only just over half a million compared to about eight million for a much more condensed area like Greater London. It is little wonder for those whose everyday vista is confined to terraced housing on the opposite side of the road with similar visually restricting rooftops behind them, the urge to get away grows by the day. As for myself I was London born and bred and have personally experienced these escapist feelings. Now after living more than twenty years in Somerset I certainly know I will never be going back. During the early Summer, the Olympic Flame is due to wend its way throughout the length and breath of the United Kingdom. Three of the locations the flame is due to pass through are all within a ten minute drive of my home, Yeovil, Ilchester and Somerton. The main event although likely to be relatively brief at each location will never-the-less to engender something of a carnival atmosphere wherever the Olympic flame passes. Whenever semi-public events like street party takes place, lamp posts and houses suddenly become decked with bunting which seeming miraculously appears from nowhere giving the location a festive ambience. However the question of cost of providing official Olympic bunting for this event has caused great concern on each of the three local councils who all came to the same conclusion they simply could not afford it. One local council claims the cost of official Olympic bunting is £92 for 20 metres plus there are also unspecified restrictions on its use. If correct, this does seem an extraordinary high price. A quick internet search shows a UK bunting supplier who can supply the same length of long lasting Union Jack bunting for 10% of that price. Bunting of less complicated design and print processes costs even less. Two of the councils have already opted to decorate using bunting designed by local schoolchildren. It makes one wonder just how many other councils throughout the UK may shortly come to similar decisions?